"Introducing a spelling test to a student by saying, 'Let's see how many words you know,' is different from saying, 'Let's see how many words you know already.' It is only one word, but the already suggests that any words the child knows are ahead of expectation and, most important, that there is nothing permanent about what is known and not known." Sometimes a single word changes everything. 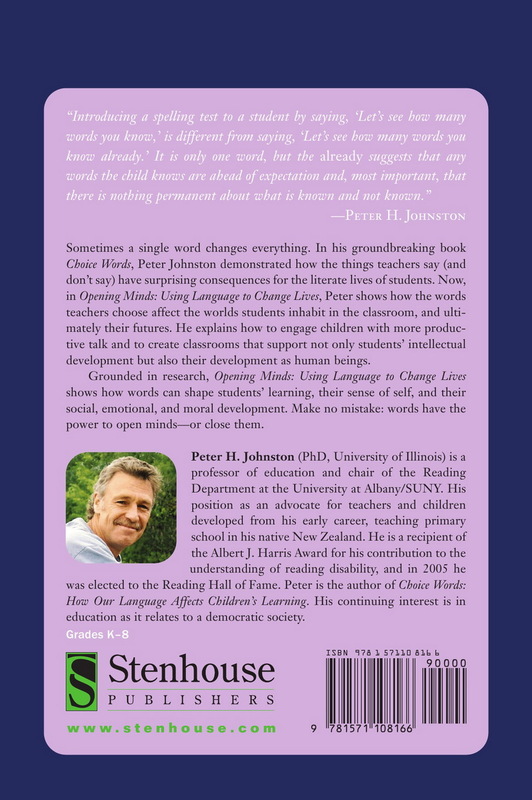 In his groundbreaking book Choice Words, Peter Johnston demonstrated how the things teachers say (and don't say) have surprising consequences for the literate lives of students. Now, in Opening Minds: Using Language to Change Lives, Peter shows how the words teachers choose affect the worlds students inhabit in the classroom, and ultimately their futures. He explains how to engage children with more productive talk and to create classrooms that support not only students' intellectual development, but their development as human beings. 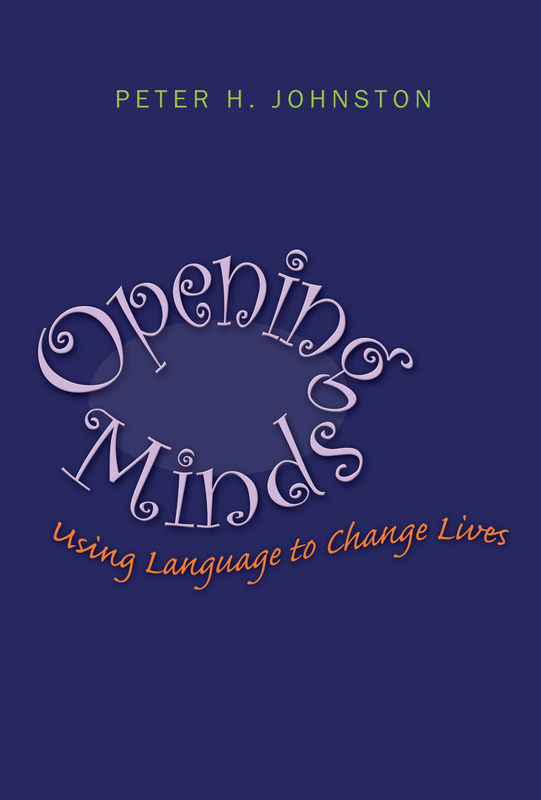 Grounded in research, Opening Minds: Using Language to Change Lives shows how words can shape students' learning, their sense of self, and their social, emotional and moral development. Make no mistake: words have the power to open minds—or close them. Peter H. Johnston grew up and taught elementary school in New Zealand before coming to the United States to earn his PhD at the Center for the Study of Reading at the University of Illinois. At the time his plans did not include staying in the United States let alone getting married and raising a family.